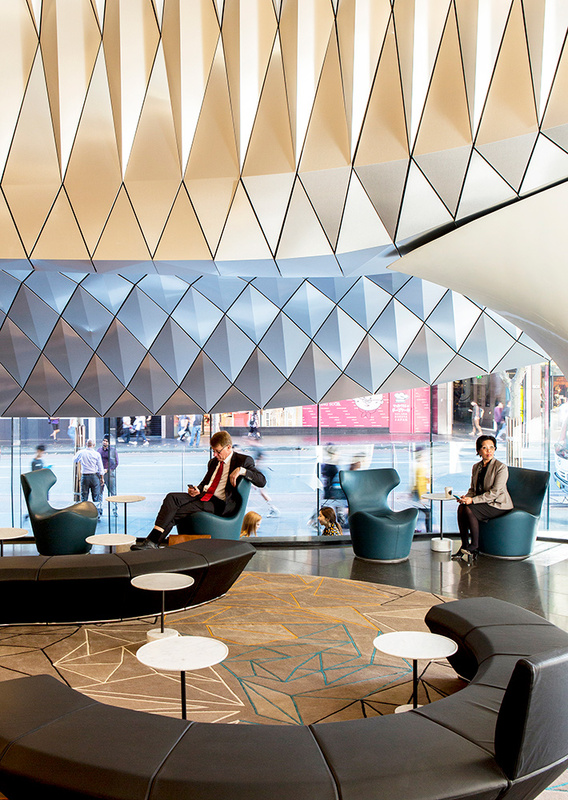 With this project we sought to create a transformative space; a space of transition between the city street and interior workplace, that through form, light and material can uplift and inspire. 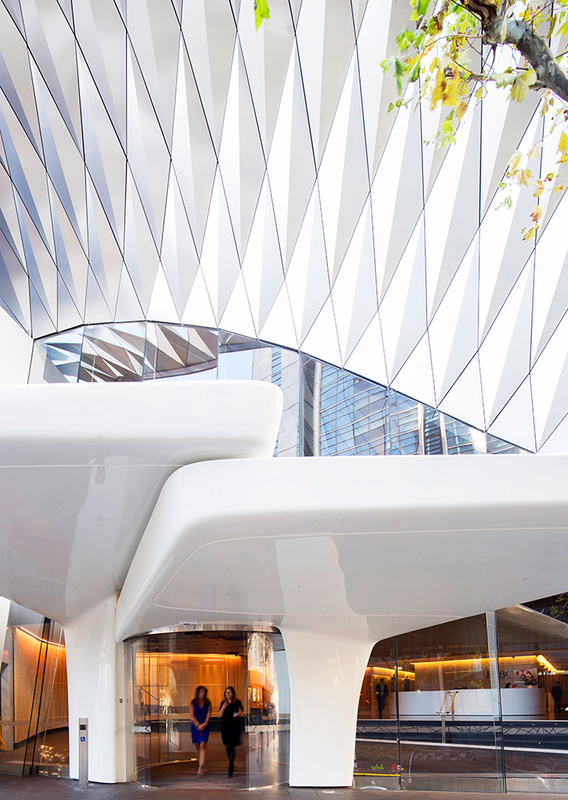 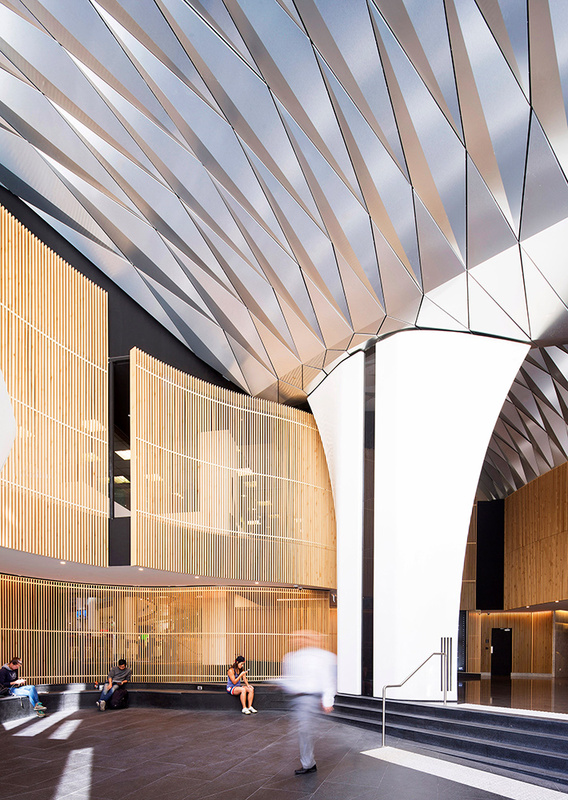 The organic architecture, assembled from a series of folded aluminium diamonds, creates a fusion of the existing building and the street into a new interlocking space. 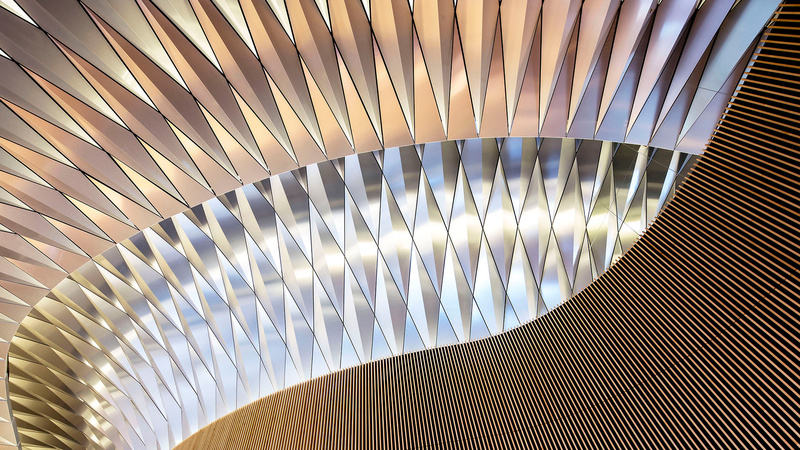  The distinctions between sculptural artwork and architectural elements of colonnade, awning and facade are blurred to create a new dynamic identity. 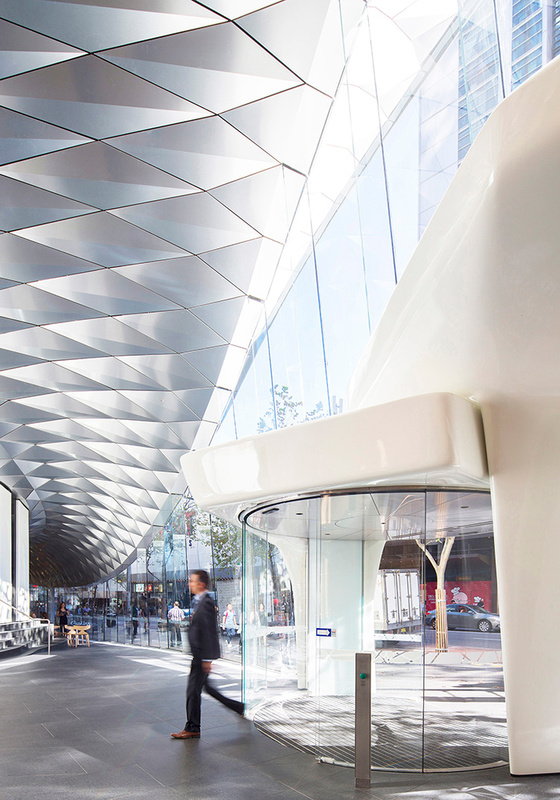 The distinction between street and lobby is blurred and connected through the folding diamond surfaces. 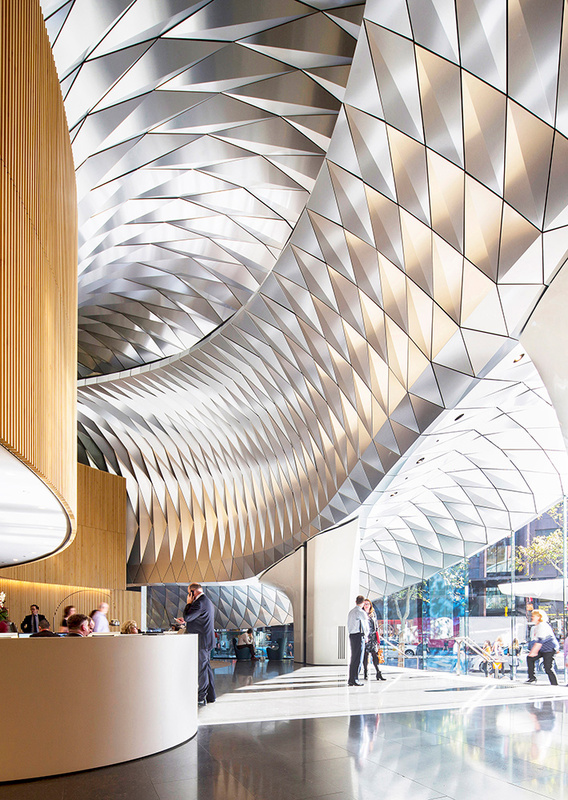 These gently curving planes reflect both natural daylight and warm integrated lighting; each diamond of brushed aluminium, unique in its profile and dimensions, creates an ever-changing tone to the interior of the lobby and exterior public domain. 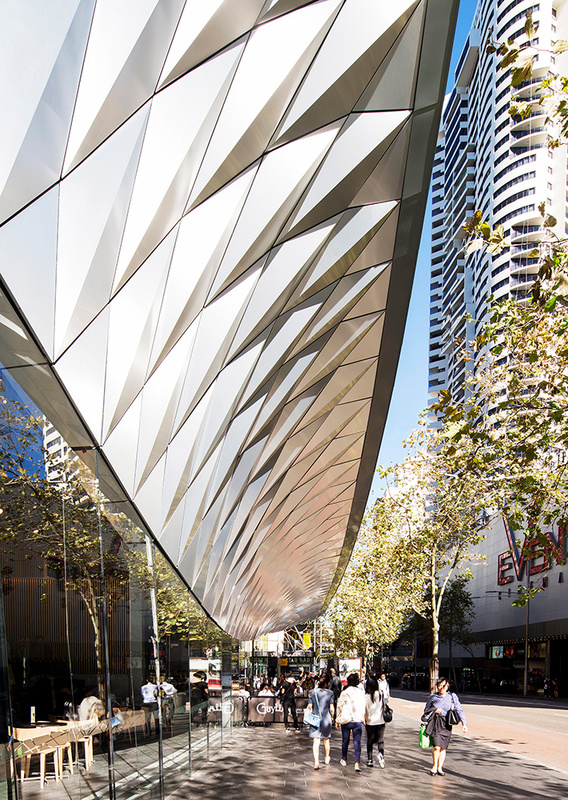 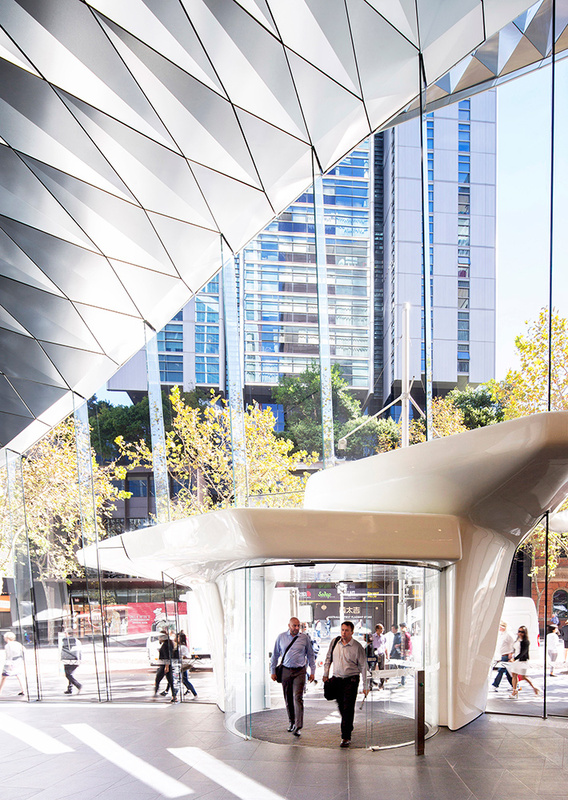 In one of the busiest intersections for both foot-traffic and commuters, we have sought to reinterpret the typical Sydney street awning to one that is dynamic and responsive to its urban context. 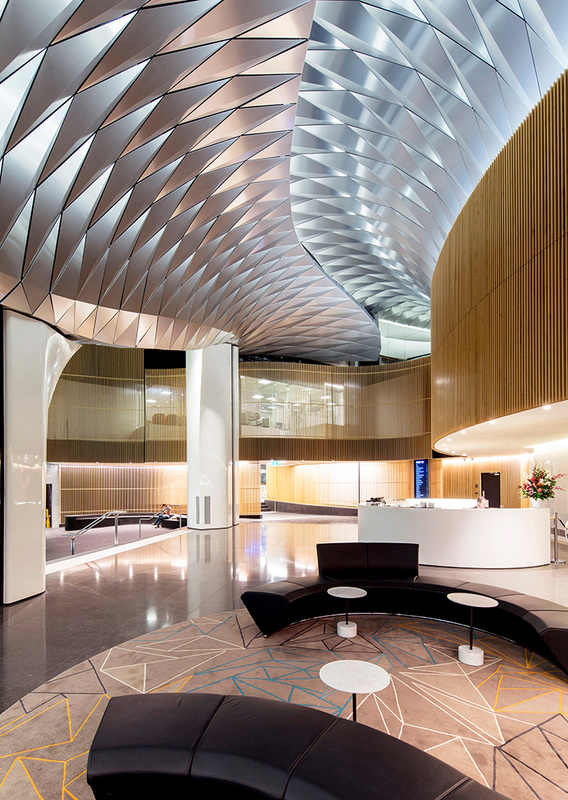 The design captures the imagination and reflects the identity of a forward thinking client; while incorporating contemporary design and finishes that complement the art deco style of the commercial tower.